As costs come down, solar and wind energy are being embraced in interesting places. Stereotypes about Texas and Big Oil will have to go. Matthew Rozsa reports at Salon, “The notion that Texas might become a hub for renewable energy innovation isn’t that new. 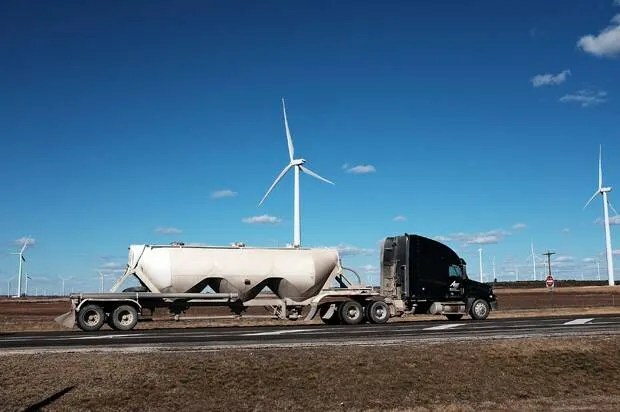 As Forbes noted earlier this month, Texas — which produces 37 percent of America’s crude oil and 28 percent of its natural gas — has more than 10,000 wind turbines, allowing it to produce more power from wind than the combined power produced by 25 other states from all energy sources. “ ‘A lot of wind companies have evolved to include solar and wind because solar has become so cheap. It is quite competitive with not only wind, but with fossil [fuel] generation,’ said Andy Bowman, chairman of Pioneer Green Energy. I’m pretty sure that cost factors will ensure the continuation of renewable-energy research — if only at the state level. Turbines at a wind farm in Colorado City, Texas, Jan. 21, 2016. That is great news and a great way to start the new year!